The effects of regularly maintenance lubrication, inspections and services are extraordinary. 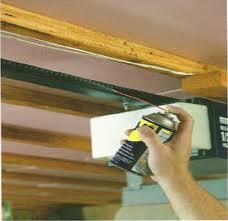 The needs of your garage door are covered fully when you trust our company for annual routine services. With thorough technicians on board and great experience in services related to all types of doors, Payless Garage Doors Vancouver promises to exceed the most demanding expectations. With commitment to the full satisfaction of every customer in Vancouver, our team is aware of the benefits of preventive services and urges clients to follow our advice and let us maintain their garage system annually. We have long experience in the field of repair services in British Columbia, are up to date with the most recent products and are also trained to service all garage doors. 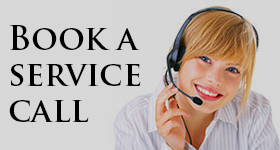 What makes our service special is the true dedication of our professionals. The years of our experience have taught us many things among which the amazing benefits of thorough garage door inspection. Rest assured that when you work with our company, you can be sure about the quality of our work. We inspect every inch of your garage door and since we are knowledgeable of all systems, we know where to look and what to do in order to fix garage door components effectively. Thoroughness is one of the things identifying our team and one of the reasons why you should trust our professionals for your roll up, carriage or overhead door maintenance needs. The services we provide begin with good inspections and carry on with the tightening of parts, the replacement of the defective ones, lubrication, repairs and garage door adjustment. We particularly check the opener and its parts, make sure the sensors are okay, and test the force and the balance of the door. If it’s necessary we change the opener settings to ensure the full opening and closure of the door and follow all proper repair steps according to the specifications of the manufacturer in order to maintain the door to the best of our ability and to the complete satisfaction of our client. Next time you’ll need Garage Door Maintenance in Vancouver, try out our service. You’ll be glad you did!